Remembrance bollard to sailing-boat "Anna af Sand"
In July 1990 Klaipėda visited the Norwegian ship „Anna af Sand“, the oldest fishermen sailboat in Europe (launched in 1848). Its crew decided to repeat the Norwegian herring trade road. The sailing-boat – it is sloop, by which in the XIX century in winter fishermen sailed to the North and Norwegian seas following the herring schools, and in spring and in summer – to Gdansk, Konigsberg, Klaipėda, Riga, Tallinn, Petersburg where after having unloaded barrels, full of herring, they loaded grain, timber, hemp, flax and returned. Sloops with herring even reached the Mediterranean coasts, from which salt and wine were brought. (Žalienė, O. „Norvegijos šliupas Klaipėdoje: susitikimas su istorija“. 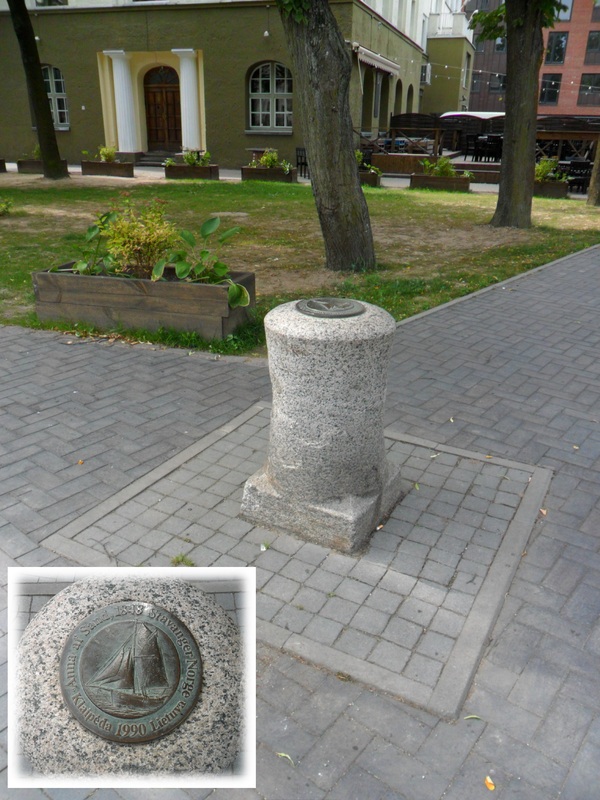 „Klaipėda“, 1990 07 19). 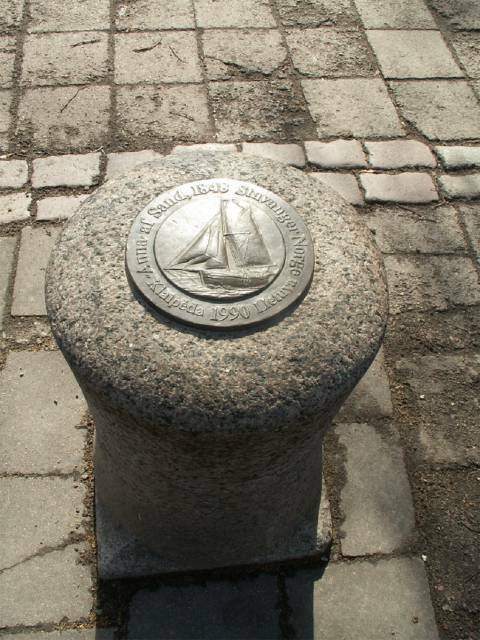 The bollard is historic, the author of plaque - Adomas Skiezgelas.